Ten months ago I decided to move to Champagne. Immersing myself in Champagne has been a slow process; it has taken time to scratch beyond the surface to find my way amongst the myriad traditions, rules and regulations that are the backbone of this region. But living here has allowed me to begin to grasp the delicate relationship between the Champagne Houses and the grape growers — and its pivotal importance to the wider community. In the Middle Ages, Champagne became the preferred wine of the French Court, being the wine with which the King traditionally celebrated his coronation at Reims Cathedral in the Champagne region. In the late 17th century, Champagne’s winemakers — or Dom Pérignon, as legend will have it — began perfecting and bottling bubbly Champagne. This pétillant or sparkling wine created quite a buzz and the demand for the new style of wine took off like wild fire; it started in the UK, but its fame spread very quickly to the rest of Europe, Russia and later to America. By the end of the 19th century, Champagne had become both exclusive and expensive: it was the signature drink of the rich and famous and it was closely associated with glamour, prestige and celebration. In order to protect the famous Champagne name from imposters — sparkling wine producers from other areas who called their wine “Champagne” to benefit from the prestige — the Champagne Houses petitioned the government and in 1908, the appellation was first defined by a decree which delimited the area in which Champagne could be produced. This decree (even though it was not rigorously respected at the time) has often been attributed to the increasing tension between the main players in the Champagne area. In 1908 Champagne was almost exclusively produced by Champagne Houses – essentially entrepreneurs who had realized the potential of the sparkling wine industry. They chose to invest in the improvement of the winemaking business (blending, bottling and ageing) and the exclusive marketing of their product rather than in purchasing vineyards; instead they purchased their grapes from the grape growers in the area. When a local shortage of grapes from 1907 through 1910 threatened their production, they purchased raw material (base wine) from outside the area to keep up with market demand, with the added advantage of better pricing. Needless to say, the local grape growers did not approve of this influx of “foreign” wine which came from all over France, and even from as far as Germany and Spain. They felt that these foreign base wines produced fake Champagne and that the Houses should use local grapes to produce “true” Champagne. The growers’ rage was further fueled by the Champagne Houses’ practice of collusion: illegal price fixing tactics aimed at lowering grape prices to the bare minimum at a time when the yields were already very low due to the vineyard Phylloxera epidemic and to extremely bad weather. Fuming that the Champagne Houses increased their own wealth whilst the growers were falling deeper into poverty, growers’ tension finally erupted into the Champagne Riots. The unrest came to a head in February 1911, in Damery and neighboring villages, when the growers took to the streets where they intercepted foreign wines and dumped them into the Marne River. Once they had destroyed the arriving wine supply they descended upon Aÿ and Epernay (the bases for most Champagne Houses) where they pillaged and ransacked the cellars of the Négociants (traders) and destroyed as much of the “fake” Champagne as they could. The 1908 decree had also created tension between the grape growers of two distinct areas of Champagne: the Marne and the Aube. The original decree had delimitated the production of Champagne mainly to the Marne area; it had excluded the Aube. 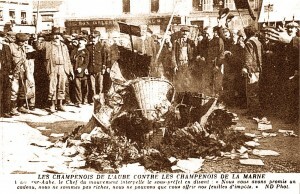 Naturally, the Aubois (inhabitants of the Aube) protested, insisting on being reinstated into the Champagne Appellation. When the government considered amending the decree to include the Aube, more protests broke out in the Marne district, and more wine and vineyards were destroyed. The 1911 Champagne Riots seriously impacted the Champagne business so much that a compromise was sought to appease all parties. Legal proposals went back and forth until the beginning of the First World War in 1914. A solution was eventually agreed to in 1927 when a law was passed delineating the 317 villages where Champagne can be produced. Further, there was a general feeling that everybody would benefit if interprofessional relationships were to be institutionalized. For this purpose the Comité Interprofessionel du Vin de Champagne (CIVC) also referred to as the Comité Champagne, was created in 1941. The Comité Champagne ensures equal representation of the interests of grape growers, who own 90% of the vineyards, and the Champagne Houses (the grape buyers who elaborate, age and sell more than two-thirds of Champagne’s wine). The Comité is charged with organizing and reinforcing the relationship between the growers and the houses as well as being the guardian of the Champagne denomination. All parties are very aware that the prestige associated with the name “Champagne” benefits them all, and that this prestige — and the high quality associate with it — needs to be protected. Hence the many rules and regulations relating to grape growing and wine making in the Champagne Region, and the continuous investment by the Comité Champagne in research and communication. The structure of the Comité Champagne is a system of checks and balances where both winegrowers and Champagne Houses are equally represented, and the CIVC is jointly directed by the president of the growers (the Syndicat Géneral des Vignerons or SGV) and the president of the Champagne Houses (the Union des Maisons de Champagnes or UMC). All decisions are taken by general consensus and negotiations are often lengthy; final decisions must be respected by everybody even if sometimes neither party is particularly happy with the final decision. According to Pascal Férat, the current president of the SGV (Syndicate of Grape Growers), the equal division of power guarantees balance, and the balance of Champagne lies in compromise, which is negotiated in order to benefit everybody. The fact that everybody has to benefit in some way is always in the forefront when decisions are made. Philippe Launois, a local courtier (broker) spoke to me recently about the relationships between growers and Houses. He feels that it is his role as a courtier to find the best match for his clients. Like a real matchmaker, he is looking to set up a long term relationship between a grower and a House. As in any relationship, mutual respect and communication are crucial: the partnership will only work if both parties feel happier together than alone. Grower/House divorces are rare, and contracts, which are standardly set for five years, are generally renewed. These long term grower contracts and close relationships have helped the Champagne Houses to develop and maintain their critically important, consistent house styles and have given them the guarantee of a reliable and constant grape supply from year to year. The growers benefit from the relationship as well; they are getting a fair (or at €5.50/kg a fairly high) price for their grapes as well as often a Champagne allowance – cases of Champagne for them to enjoy with family and friends. As briefly touched on before, another key role of the Comité Champagne is research and communication. In order to maintain the prestigious image of Champagne, quality must continue to be its point of differentiation from other sparkling wines. This is why the CIVC cultivates two research vineyards. Results of the trials and recommendations are distributed among all involved in the Champagne business with the aim of sharing the knowledge and raising standards. Thibaut Le Mailloux, Communications Director at the Comité Champagne, stresses the continuous need to distinguish Champagne from other sparkling wines. Hence the century-long battle by the Comité Champagne to try and phase out the use of the word “Champagne” for anything other than wine produced in Champagne, from grapes grown in the Champagne region. The key, he feels, is to educate the consumer about the uniqueness of the Champagne traditions, terroir, exposure and weather as well as the grape growing and wine making process — in an unbiased way: to focus on Champagne in general rather than on a specific brand. I asked Philippe Launois (Courtier) as well as Pascal Férat (SGV) if they feared the recent market successes of grower-producer Champagnes could impact the future relationship between the Houses and the growers: both said they did not think it would. 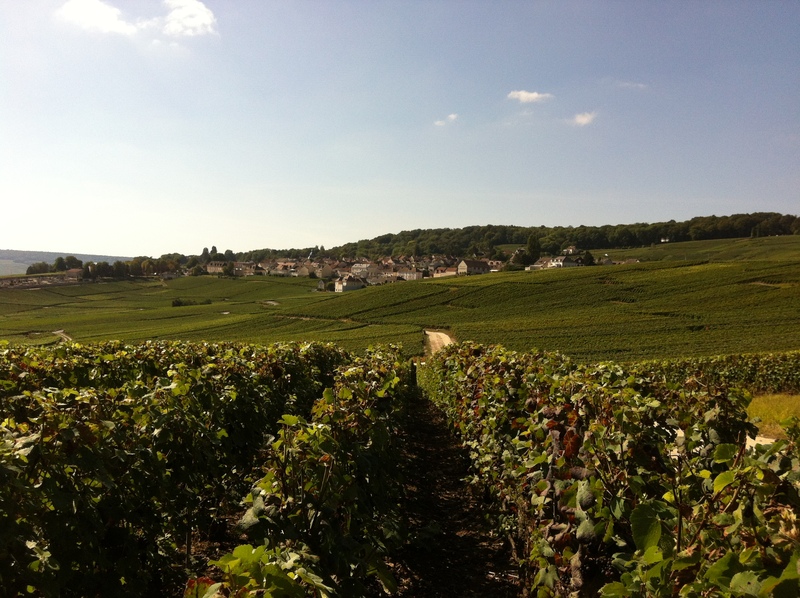 Férat stated that many successful grower-producers have focused on their terroir, and this has created a different category of Champagne, often more focused on a specific location or vineyard. It is a way in which the vigneron (grower) can distinguish himself from the Houses as well as from other vignerons. However, as grower-producers can only produce wine from their own vines, they are restricted in volume and cannot compete on the same scale as most Houses. Férat also feels that this new category of Champagne has added value to Champagne as a whole, as rare wines tend to be more prestigious. Launois agreed that there is no real harm (to the Houses) in the current development of vigneron Champagne, for two reasons. Firstly, he pointed out that getting into the Champagne-producing business requires very large investments – not only in the materials needed to press the grapes and make the wine. But because Champagne is aged extensively, it means there is no sales income for at least three years, and the years after that can be meager whilst a following for the new Champagne is built up. This discourages a lot of people, and the few vignerons who do want to make their own Champagne will generally phase into it very gradually – i.e., they will continue to sell the bulk of their grapes to make a living whilst they get their project started. Secondly, he feels that the “end of the line vignerons” — grower-producers who stop making wine because of succession issues — balances out the new grower-producers. 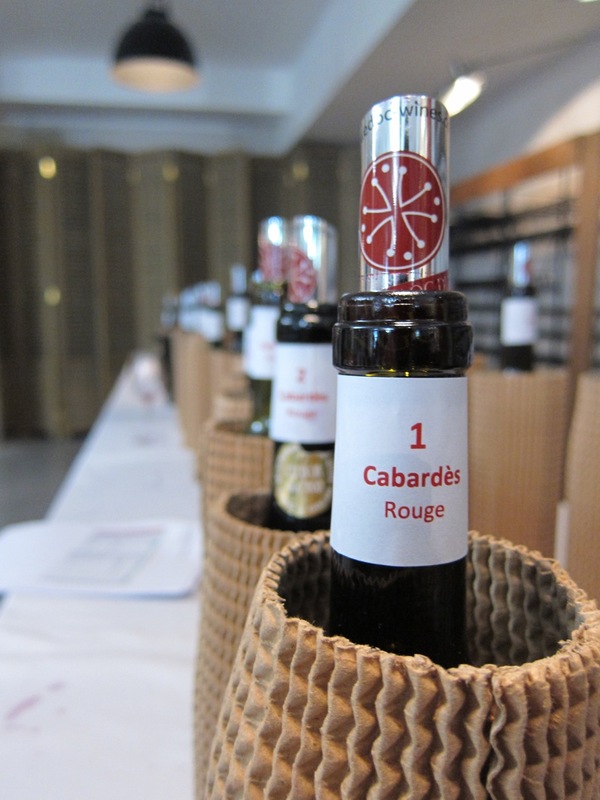 It is quite common that the successors of an end-of-the-line vigneron already have other careers and they generally prefer to continue to sell their fruit off for cash rather than make their own wine. In my discussions, a few potential issues were raised which, if not managed properly, could disturb the current delicate balance in Champagne. One is the size of the Champagne appellation. In 1927, 35,280 hectares were delineated for the planting of vines for the production of Champagne. At that time barely 12,000 hectares had been planted with vines whilst now the appellation has reached its limit with just over 34,500 hectares planted. (The remaining appellation land cannot be planted as it has already other uses such as roads, railways and production facilities.) 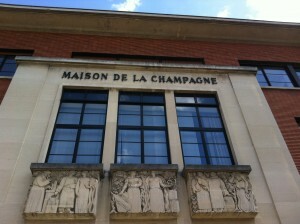 The fact that the appellation has reached its limits has an impact on the growth of the Champagne business. 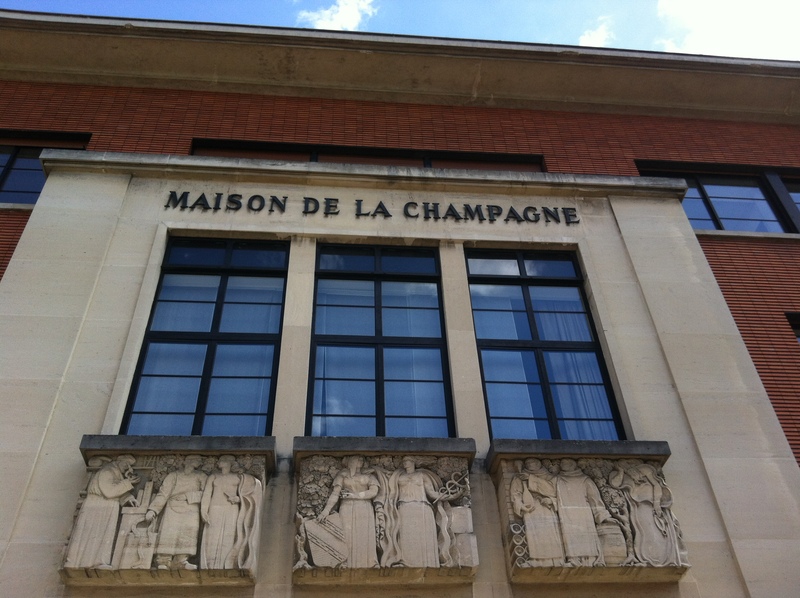 In order to address this problem, the SGV requested the revision of the geographical area of Champagne with the INAO (Institute National de l’Origine et de la Qualité) in 2003. This created a big stir when initial land area proposals were set out in 2008 – and more can be expected as further reviews are made public. The extension of the appellation is unlikely to be concluded until 2020 as the process is very elaborate. Another factor which could impact the balance is an invasion of foreign investors or multinationals in Champagne, as we have seen in other prestigious wine regions. Powerful investors may try to throw their weight around on various issues in order to benefit their own profitability. However two things are against them. The first is the sheer number of players in the Champagne growing and making process. For instance, the market share of the five largest producers which are all part of international groups (LVMH, Lanson-BCC, Vrancken-Pommery, Laurent Perrier and Pernod Ricard) is only one-third of total Champagne production and sales, which leaves a myriad of other players to make up the remaining 66%. Additionally, the fact that all decisions are made by consensus would make it extremely difficult for an individual agenda to prevail even with a lot of lobbying. In fact the impression I get is that solidarity amongst the Champagne factions is strong enough that most players would probably group together to oppose any single investor’s position. This once again shows how, in my opinion, the people of Champagne put the communal wellbeing above their personal goals. I believe this is due to the fact that all the players agree that the security of the appellation is core to the Champagne business, and it is the Champagne business which makes the world turn — at least here in Champagne. Even if vignerons or Houses grumble regularly about a specific constraint of the precarious Champagne balance, they prefer to accept it as they feel there is too much at risk if they don’t. After talking to a lot of people in the region, I can only conclude that the balance in Champagne may be delicate, yet it is so deeply ingrained in the local way of living I feel it is rock solid.